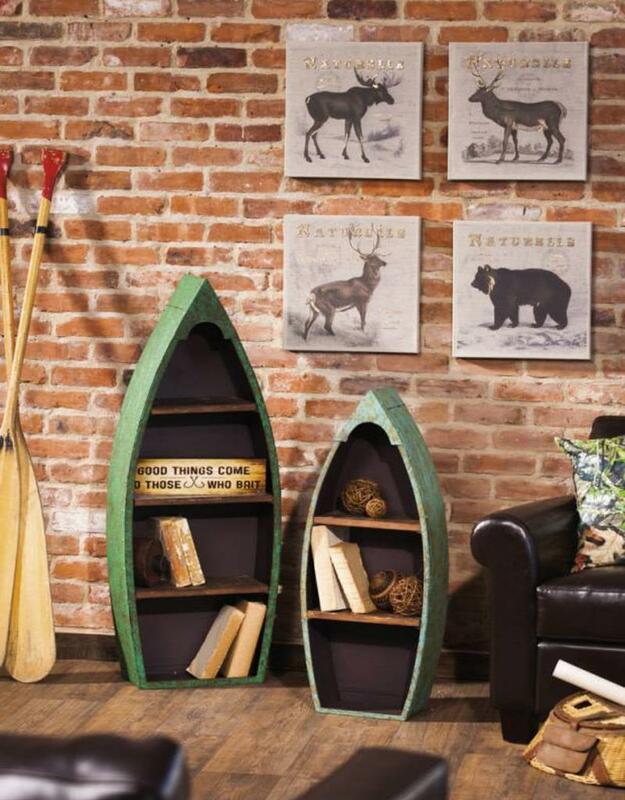 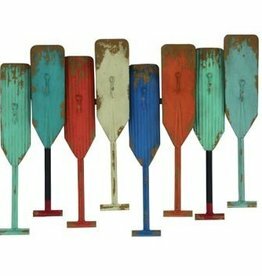 This set of metal and wood boat shelves will add a rustic touch to any space. 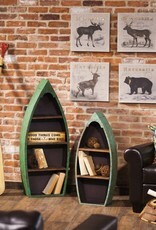 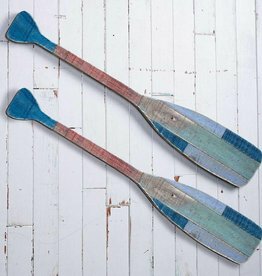 This set includes a large and small shelf, both featuring a bowed boat-like shape. 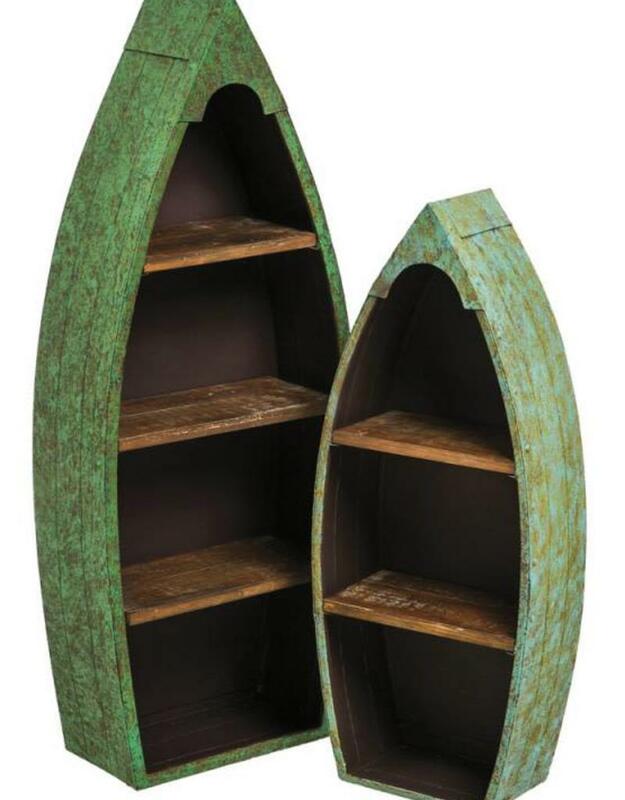 The larger unit has 3-fixed shelves while the smaller has 2-shelves. 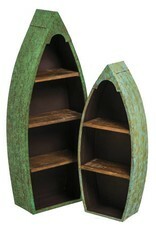 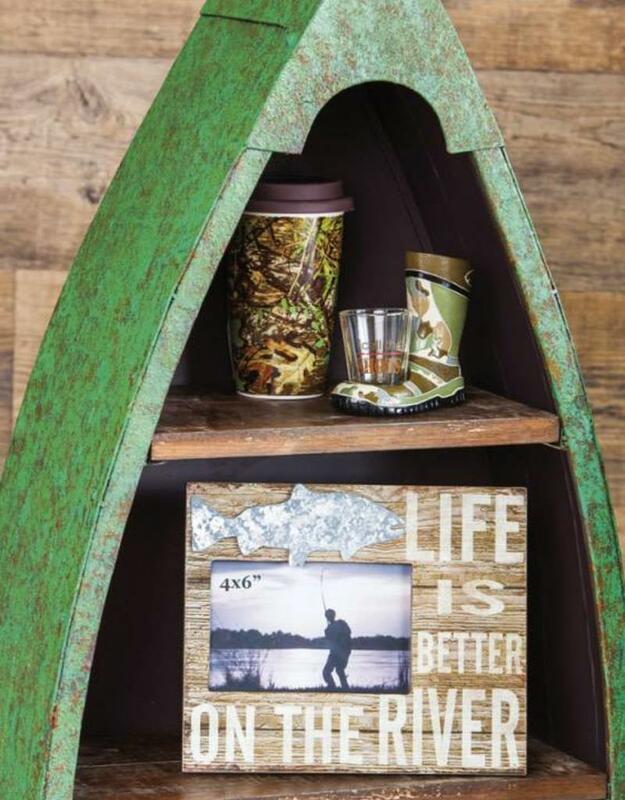 The distressed green finish on the frame adds a timeless element to the pieces. 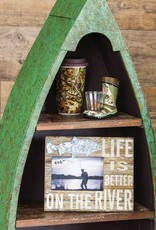 The shelves feature a natural weathered brown finish.